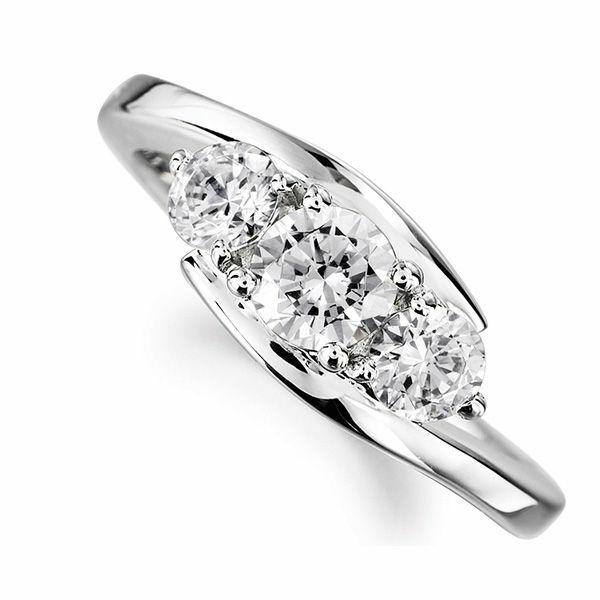 This gorgeous ring is set with matching Round Brilliant cut Diamonds in a pleasing graduated design. 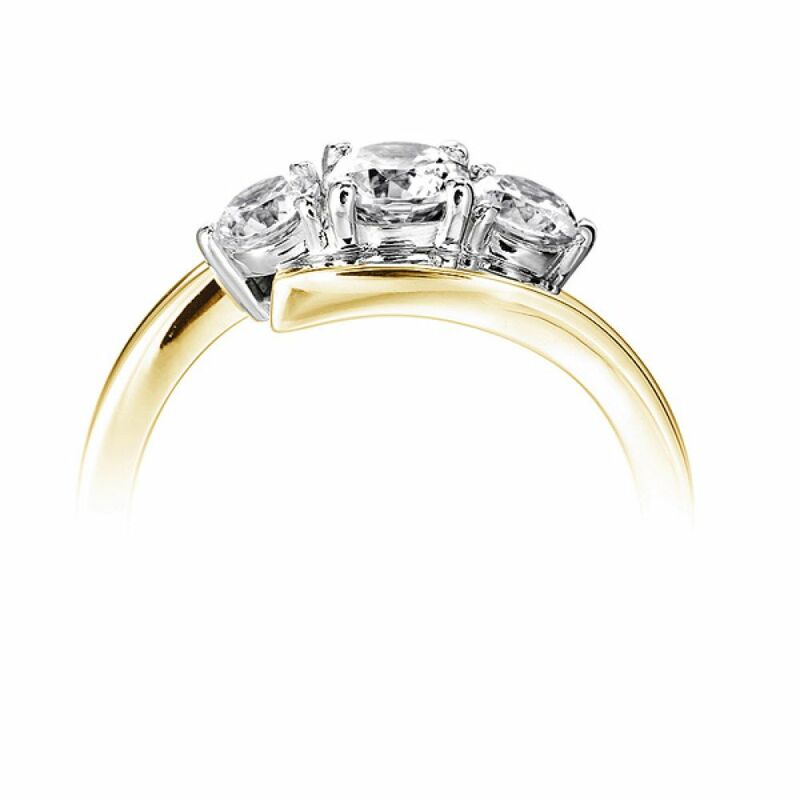 Small round claws hold the precision set Diamonds, between sleek, ultramodern crossover shoulders which narrows towards the setting. Your ring takes around 3-4 weeks to create with your chosen Diamond weight and can be offered in Platinum and 100% Ethically sourced Fairtrade Gold. 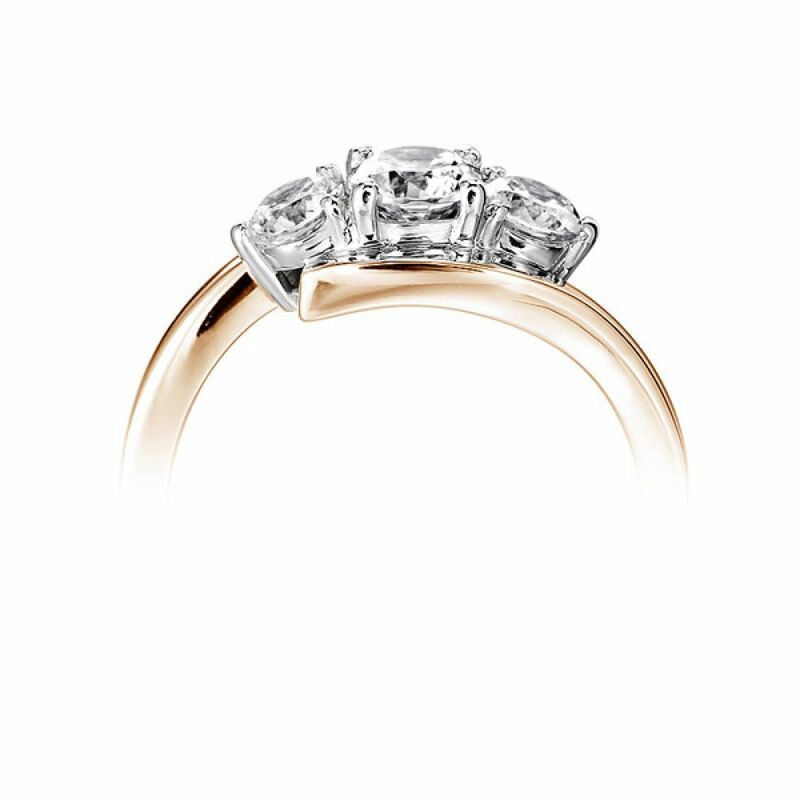 When your ring arrives with you it will be delightfully packaged and accompanied by a slim pocket box and the assurance of a 60 day return policy and a free ring size adjustment if needed.